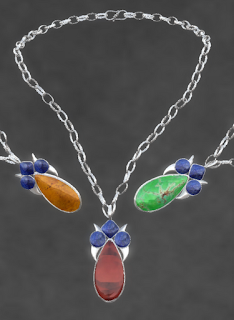 The Amazing Elegance Necklace & Earrings @ ELEMENTAL JEWELRY--Silver with Lapis Lazuli accent stones & texture changing feature stone in Red Spinel, Amber, or Green Turquoise. 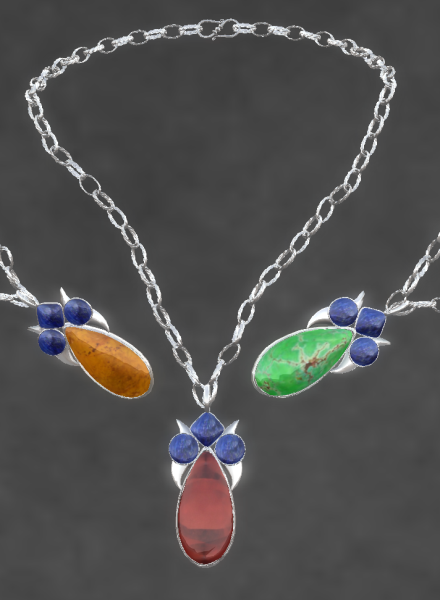 The necklace is resizable. Both the necklace and the earrings are on sale this week in the 60L Weekend sale! Makeup: Label Mode La Vie Makeup in berry. Hair: Truth Hair Trinity in chocolate. Top: Zaara Azyba Cross Flowers in ruby.